We want to welcome to the TechBirmingham community Stewart of Alabama. 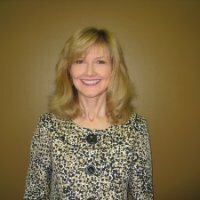 We are featuring Carol Stewart, who is the Senior Account Manager. She is from Decatur, Alabama and has lived in Birmingham for 29 years. We at TechBirmingham are happy to welcome our new member, Imagine Learning. Imagine Learning engages students with an award-winning educational software program that features interactive content, including activities, videos, songs and games. It’s research-based, includes a differentiated instructional system and is incredibly fun to use.